*NEW 2019 LEXUS RC F LEASE FOR 36 MO. with 10000 miles per year available with approved credit to very well qualified customers through Lexus Financial Services. Offer based on stock N25555 MSRP 74678 and includes all qualifying lease cash and incentives with 5999 customer down payment and 899 dealer fee, 795 bank acquisition fee, tag, title and doc fees plus first payment. Offer available through June 30, 2018.. See dealer for complete details. The refined Lexus coupe with the luxury and comfort of a daily driver, and the power and sound of a track car. 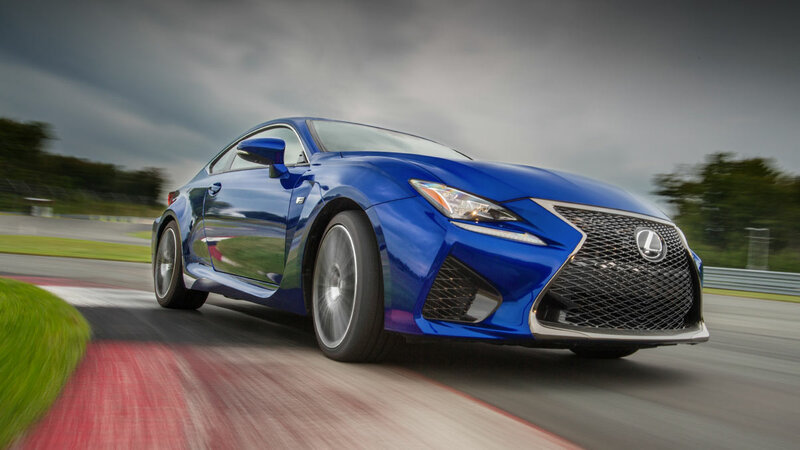 For those who want more than fast, the RCF delivers unwavering performance. 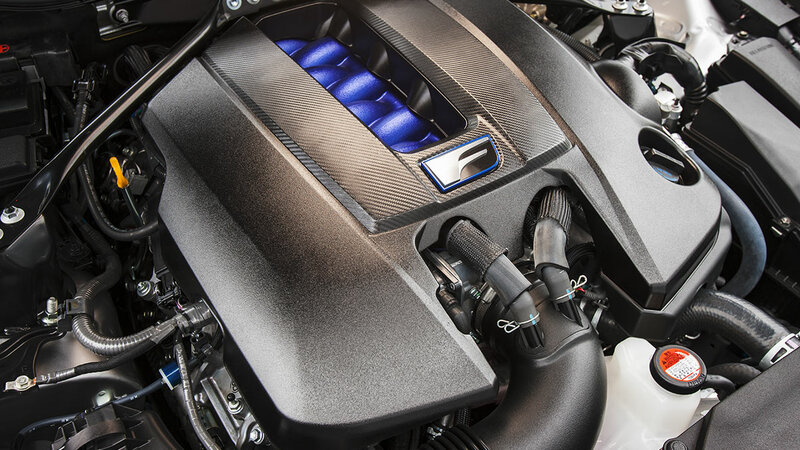 The RCF is powered b a 5.0 Liter V8 that produces 467 hp and 387 lb-ft of torque, an engine that takes the car from a standstill to 60 mph in 4.4 seconds. The loud, powerful V8 is paired with an eight-speed direct-shift transmission that delivers virtually instant up and down shifts to make sure you have all the power you need, when you need it. When you're driving a car with a naturally aspirated V8, it's important to let everyone know it. 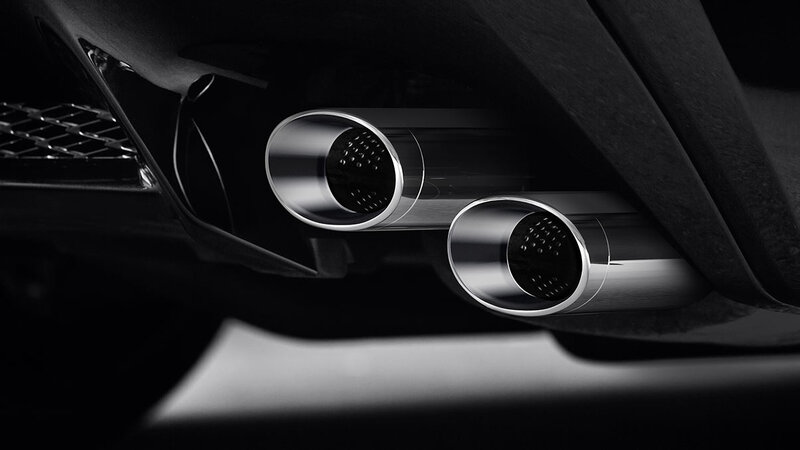 So, the Lexus RCF comes with a tuned quad exhaust setup that makes the throaty exhaust note that's only possible with a V8. 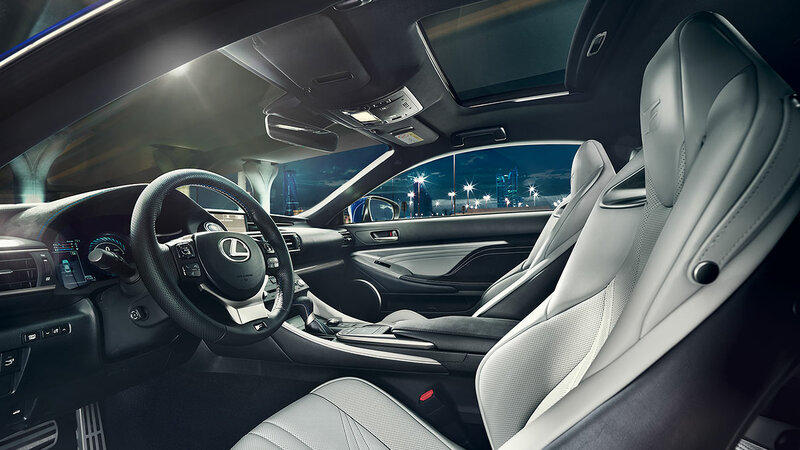 The interior of the RCF also receives some upgrades, most notably are the new high-back sport seats that feature aggressive bolsters to keep you in place no matter how aggressively you're turning. The rest of the RCF still maintains the same focus on luxury as other Lexus vehicles, providing the same features and amenities you'd expect from a Lexus. 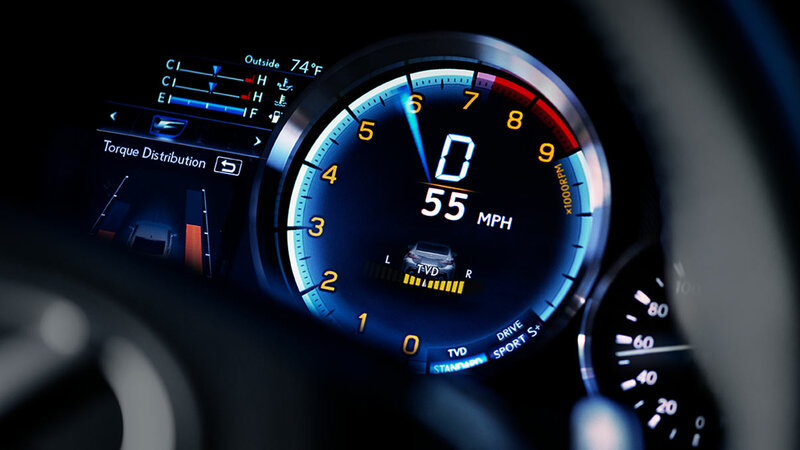 The RCF also comes with LFA inspired race cluster that features a full-color LCD display. This information cluster also gives you track related information like g-meter and lap timer, you'll also get torque distribution meters and other information about your vehicle's performance and health. The RCF takes handling seriously, with a standard TORSEN limited-slip differential, and an optional Torque Vectoring Differential that will dynamically distribute more torque to the outside rear wheel when cornering to improve handling precision. You also have adaptive variable suspension that tightens up in Sport modes to decrease body roll and improve handling.